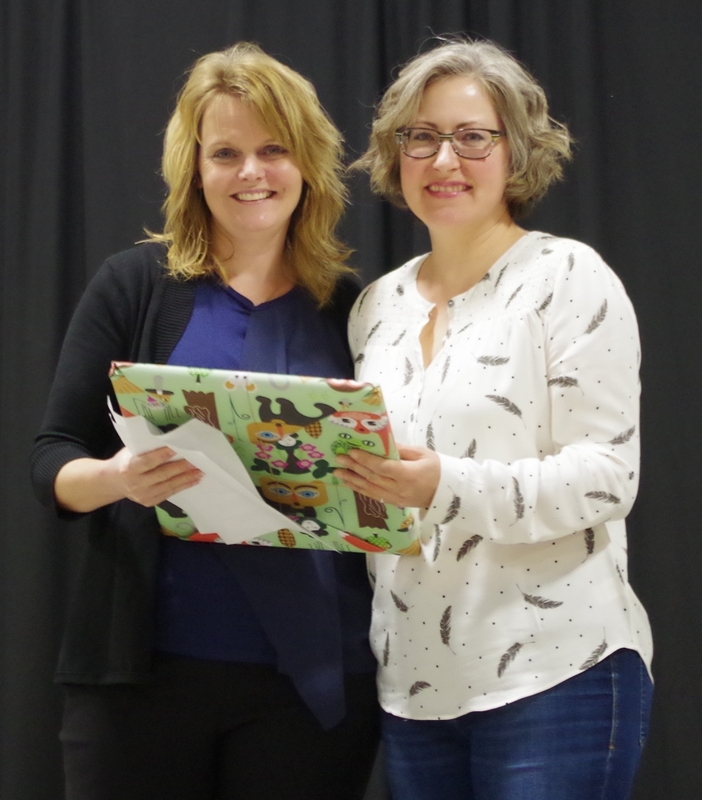 SaskOutdoors was thrilled to present the 2017 Melanson Award to Lori Johnson, the Saskatchewan Burrowing Owl Interpretive Centre’s Owl Coordinator in recognition of her tremendous educational efforts that supports unique and diverse wildlife on the Canadian Prairies. The award was presented at the Saskatchewan Burrowing Owl Interpretive Centre’s annual fundraising dinner on November 4, 2017 in Moose Jaw. The Melanson Award was set up in memory of Professor Bernie Melanson, a university educator and an energetic, early member of SaskOutdoors. Bernie was born in Halifax in 1935. She attended high school in New Brunswick and university studies later took her to Dalhousie, Calgary and Stanford. She worked as research officer for the Department of National Defence and taught high school and college in Alberta before joining the Faculty of Education at the University of Regina in 1965. She was promoted to Associate Professor in 1970. It was during this time that she became involved with the organization known today as SaskOutdoors. Bernie’s career sparkled with teaching expertise, innovative approaches, research skills, and an awareness of the human being matched by few educators. Her interests spanned many areas: Science, Science Education, Outdoor Education, Teacher Education and In-Service Education methods. She was concerned with the skills, knowledge and attitudes of teachers and she was dedicated to the proposition that the best education possible should be provided by the child. Bernie passed away in 1975, at the age of 40. Her passing greatly saddened those with whom she worked and they rallied to create an award in her honour to recognize other individuals who make outstanding contributions to outdoor and environmental education in Saskatchewan.